It's no surprise that I love celebrating festivals the world over, not with their rituals but by partaking in their food preparation, what ever they may be. Now though my main motivation is always trying out new recipes from new regions or giving my own twists to their core ingredients. I must admit that the idea of giving Thanks pleases me immensely. After all if one sits to think of it, all of us will find at least a handful of reasons to be thankful for every morning. Thanksgiving began as a day of giving thanks for the blessing of the harvest and of the preceding year. Similarly named festival holidays occur in Germany and Japan as well. Thanksgiving is celebrated on the second Monday of October in Canada and on the fourth Thursday of November in the United States, and around the same part of the year in other places. Although Thanksgiving has historical roots in religious and cultural traditions, it has long been celebrated as a secular holiday as well. Occurring in the heart of Fall, Pumpkins play a major role at the Thanksgiving dinner table and though Pumpkin Pie is the traditionally prepared dessert, a lot of spin offs all made with pumpkin are a major hit during this time of the year. Now though Indian by birth and residence, I've never used the humble pumpkin as is traditionally used in Indian households, but have used it numerous times in making continental fare. 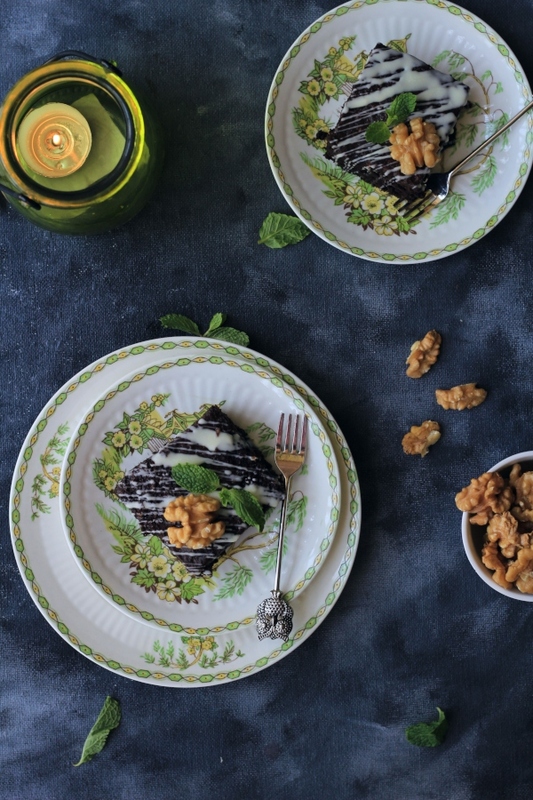 Today's recipe is very simple to put together with readily available ingredients at home. 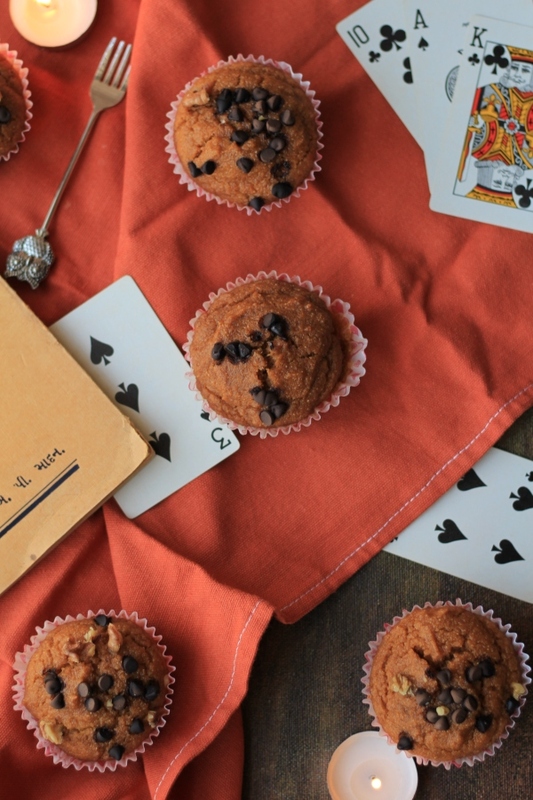 Great for snacking on, packing in tifffin boxes or as a post lunch treat, these Vegan Pumpkin Spice Muffins made with semolina flour are moist, fragrant with warm spices and soul satisfying. A must try this season. Clean, peel and cube the pumpkin, then pressure cook in just enough water to just about cover the top of the cubes. Allow to cook for 3 whistles and switch off the flame. 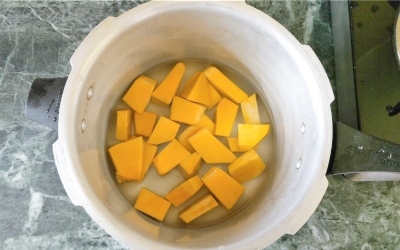 Allow the cooker to cool down, then remove the boiled pumpkin and discard the water. 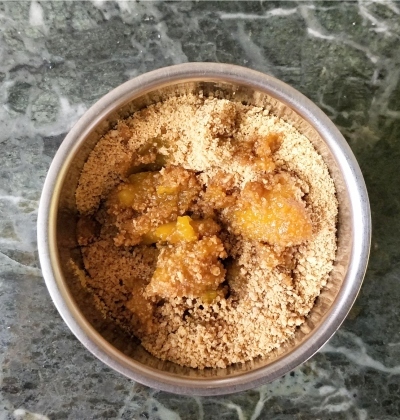 Using a bender or food processor make a smooth paste of the boiled pumpkin, salt and jaggery powder. Mix the prepared paste along with the oil into the remaining dry ingredients except baking powder, baking soda and vinegar and allow to rest for 30 minutes to 2 hours. 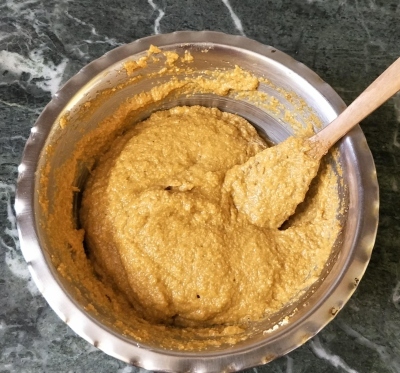 Once all semolina has absorbed all the liquid well and is slightly puffed up, add in the baking soda, baking powder and vinegar and mix in well. Add in nuts, chocolate chips or pumpkin seeds if desired. 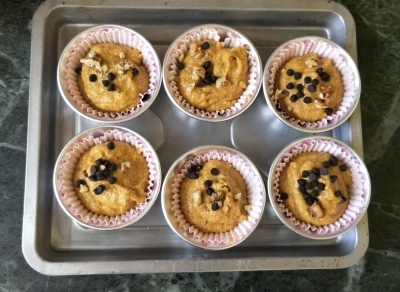 Spoon in 2 tablespoons of the batter into standard sized muffin moulds. 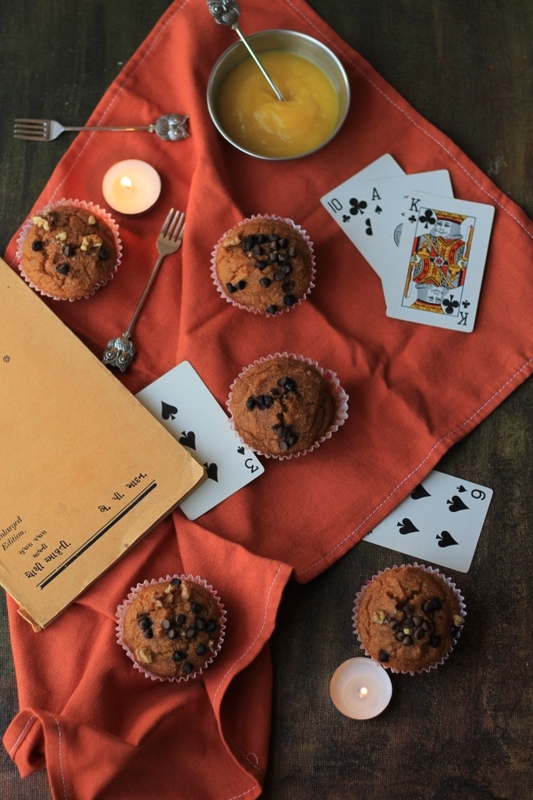 Bake in a preheated oven @ 160°Celcius for 20 to 22 minutes or till a toothpick inserted in the center of the muffins comes out clean or with a few wet crumbs attached. Enjoy hot with a snuggly blanket and a warm cuppa your fave!